Off-the-beaten-track marinas to moor at, each with their own unique vibe, picked by Jordana Reuben Yechiel. 1. 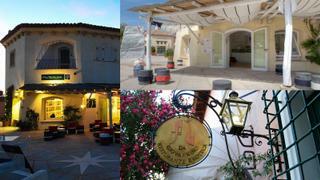 Porto Rotondo Sardinia, Italy Porto Rotondo is a favourite with yacht owners and guests. Situated in the stunning southern part of the Gulf of Cugnana, it has a totally different feel to better known Porto Cervo, only a 20 minute cruise away. It is more family friendly and relaxed and has an abundance of shops, cafés, restaurants and tiny piazzas to explore. It’s the perfect place to stroll around, boat watch or shop (make sure to check out the fabulous local jewellery stores). There are also two small, quiet beaches right near the port if you are looking for a day on land or have children itching to use their buckets and spades. Boat notes: This marina provides excellent shelter when the winds kick up. The Romans appreciated this – Porto Rotondo was built in the 1960s but there are two columns at the entrance that date from Roman times. With space for 600 boats, refuelling facilities and excellent boat services, support and tenders, it’s totally keyed up for superyachts. Don’t expect to save anything by mooring here, though – it’s just as pricey as Porto Cervo. Where to eat: For lunch get yourselves to Il Pomodoro for the best pizza in town. Stop for a prosecco, Sardinian cold cuts and pecorino cheese at Assaggia. Make sure to make a dinner reservation for Da Giovannino for the best seafood and crudités – the wine list is truly phenomenal. Those wanting Italian should also try S’Astore. Hang out La Pinta or Sazer cocktail bars are great for an after dinner drink or three. Both are located in the centre of town – so sit outside on the cobblestones and absorb the vibes. The young and fun break away and hit the Country Club. Not one for the golfers, it’s an exclusive nightclub that sits on the hill with views overlooking Porto Rotondo. Make sure to arrive before 1am to avoid mayhem at the door. Who goes: Still very Euro chic, but without the formality of Porto Cervo. It’s the kind of crowd that wears Valentino skirts with a T-shirt tied in a knot, gladiator sandals and a messy bun. Hot tip Some serious shopping can be done here. The Piazza Quadra is at the heart of Porto Rotondo, with Miu Miu, Prada, Versace and all the Italian big wigs. Local classic: Porto Cervo: Some people can’t go to Sardinia without calling at Porto Cervo or dropping anchor outside the famous Hotel Cala di Volpe. It’s dinner at Madai, a new hot spot in the port, and clubbing at Billionaire nightclub, a landmark that lives up to its name. However, the one place that truly brings everyone together is La Pasqualina, the new ice cream parlour in the port – the perfect antidote to a long hot day. The 133m Al Mirqab and 64m Lady Marina have been spotted here. Off-the-beaten-track marinas to moor at, each with their own unique vibe, picked by Jordana Reuben Yechiel. Local classic: Porto Cervo: Some people can’t go to Sardinia without calling at Porto Cervo or dropping anchor outside the famous Hotel Cala di Volpe. It’s dinner at Madai, a new hot spot in the port, and clubbing at Billionaire nightclub, a landmark that lives up to its name. However, the one place that truly brings everyone together is La Pasqualina, the new ice cream parlour in the port – the perfect antidote to a long hot day. The 133m Al Mirqab and 64m Lady Marina have been spotted here. Dubbed the “Venice of Provence”, this sea-facing port, to the west of Saint-Tropez, is the ideal retreat from the madness of Pampelonne’s beaches, which are only a 20 minute drive or short cruise away. This charming, quintessentially Provençal port, with its traditional fishermen’s houses, has a much more relaxed, family vibe and none of the pomp and show of Saint-Tropez. Built on the marshes of the River Giscle, this “water village” can be accessed only by boat or foot. There are bars, waterfront restaurants and a maze of shopping arcades ready to be explored. Boat notes:_ _It caters mainly for smaller boats (up to 24m), has excellent nautical support services, and berths cost approximately a third of those at Saint-Tropez. The hot spot to berth in is in front of the big church in the centre of the town, by the shops and markets – it’s impossible to get, though, as it’s used by annual berth holders. Where to eat: La Table du Mareyeur (The Fishmonger’s Table) is a charming seafood restaurant on the canal, with super friendly staff. Make sure to ask for a table on the terrace. Hang out: Monroe’s, the Irish pub on the main entrance to Port Grimaud, is the local hangout for a game of pool or some good pub food. Sit in or out and catch the local gossip. A young and casual crowd mix with the crews to make a very international feel. 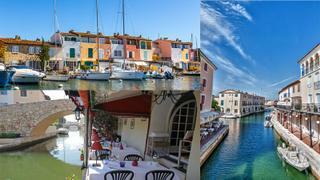 Who goes: Port Grimaud is the antithesis of Saint-Tropez, with a low-key, family oriented crowd. No high heels before 8pm, if at all. Hot tip: Don’t miss the Provençal market on Thursday mornings for local wares and gorgeous flowers Local classic: Saint-Tropez: If you can’t resist the lure of Saint-Tropez, make sure to reserve your berth on the FROW (yachting front row) between the Sénéquier brasserie and Barbarac ice cream shop well in advance. In high season and without connections you need to book at least a month in advance and even then the port confirms your slot only a week before. Yachts can’t enter until after 5pm so you will see a traffic jam of yachts waiting patiently to enter the port. Be sure to dine at Le Petit Joseph for the who’s who of Saint-Tropez and try the new Le Jardin restaurant in the lighthouse. Reserve for dinner and ask for the circular room. This Asian fusion hot spot has 360 degree views over the port and beyond. Dubbed the “Venice of Provence”, this sea-facing port, to the west of Saint-Tropez, is the ideal retreat from the madness of Pampelonne’s beaches, which are only a 20 minute drive or short cruise away. This charming, quintessentially Provençal port, with its traditional fishermen’s houses, has a much more relaxed, family vibe and none of the pomp and show of Saint-Tropez. Built on the marshes of the River Giscle, this “water village” can be accessed only by boat or foot. There are bars, waterfront restaurants and a maze of shopping arcades ready to be explored. Boat notes:_ _It caters mainly for smaller boats (up to 24m), has excellent nautical support services, and berths cost approximately a third of those at Saint-Tropez. The hot spot to berth in is in front of the big church in the centre of the town, by the shops and markets – it’s impossible to get, though, as it’s used by annual berth holders. Where to eat: La Table du Mareyeur (The Fishmonger’s Table) is a charming seafood restaurant on the canal, with super friendly staff. Make sure to ask for a table on the terrace. Hang out: Monroe’s, the Irish pub on the main entrance to Port Grimaud, is the local hangout for a game of pool or some good pub food. Sit in or out and catch the local gossip. A young and casual crowd mix with the crews to make a very international feel. Who goes: Port Grimaud is the antithesis of Saint-Tropez, with a low-key, family oriented crowd. No high heels before 8pm, if at all. Local classic: Saint-Tropez: If you can’t resist the lure of Saint-Tropez, make sure to reserve your berth on the FROW (yachting front row) between the Sénéquier brasserie and Barbarac ice cream shop well in advance. In high season and without connections you need to book at least a month in advance and even then the port confirms your slot only a week before. Yachts can’t enter until after 5pm so you will see a traffic jam of yachts waiting patiently to enter the port. Be sure to dine at Le Petit Joseph for the who’s who of Saint-Tropez and try the new Le Jardin restaurant in the lighthouse. Reserve for dinner and ask for the circular room. This Asian fusion hot spot has 360 degree views over the port and beyond. 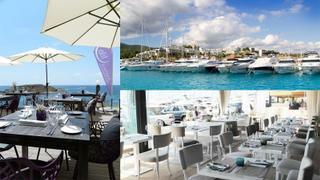 Puerto Portals exudes understated expat chic while being Mallorca’s glamour spot during the summer. This is a much more grown-up choice than buzzing Puerto Banús, near Marbella, which is ever popular with the superyacht crowd. This pristine port is uber stylish and a delight to moor in. After the beauty of Mallorca’s pristine coastline and clear waters, it is the perfect haven to stop at and stroll, shop, dine and hit a salon to scrub up. And early in the mornings you see all the men scurrying off the boats with their golf clubs. Boat notes: Housing more than 600 berths, the secure moorings and expert nautical support services are what makes the jet set moor here. Where to eat: Lila Portals, for seafood and white sand. When night falls head to Spoon for delicious Mediterranean food or soak up the vibe at Lucy Wang and enjoy some seriously good sushi. Hang out: Reeves or Roxy Beach is where the crowd flocks to gossip and watch the sun set. Who goes: A chic understated crowd; men don unbranded polo shirts and chino shorts, whereas ladies look relaxed in white Capri pants. Bill Gates, Jenson Button and Paris Hilton have all been spotted here. Hot tip: For a beach day, head to Cala Portals Nous, a small protected sandy cove. With its sunshades and loungers to rent, it’s a perfect way to pass the day. Local classic: Puerto Banús: Often described as the Saint-Tropez of the Costa del Sol, this “millionaires’ playground” is full of cafés, designer shops and glamorous nightclubs. The summer sees a mass influx of wealthy Arabs and celebrities. With 915 berths, this modern port is a captain’s dream. Lunch at Picasso, although you may have to wait for a table in this old school pizzeria bursting with the Marbella “it” crowd. The more adventurous should cruise 10 minutes down the coast to Laguna Village and moor outside Purobeach Marbella. This fabulous getaway has a wonderful seafood restaurant. For a rocking night it’s Nobu for dinner and then La Terrasse at La Suite club at Puente Romano beach resort. Puerto Portals exudes understated expat chic while being Mallorca’s glamour spot during the summer. This is a much more grown-up choice than buzzing Puerto Banús, near Marbella, which is ever popular with the superyacht crowd. This pristine port is uber stylish and a delight to moor in. After the beauty of Mallorca’s pristine coastline and clear waters, it is the perfect haven to stop at and stroll, shop, dine and hit a salon to scrub up. And early in the mornings you see all the men scurrying off the boats with their golf clubs. Boat notes: Housing more than 600 berths, the secure moorings and expert nautical support services are what makes the jet set moor here. Where to eat: Lila Portals, for seafood and white sand. When night falls head to Spoon for delicious Mediterranean food or soak up the vibe at Lucy Wang and enjoy some seriously good sushi. Hang out: Reeves or Roxy Beach is where the crowd flocks to gossip and watch the sun set. Who goes: A chic understated crowd; men don unbranded polo shirts and chino shorts, whereas ladies look relaxed in white Capri pants. Bill Gates, Jenson Button and Paris Hilton have all been spotted here. Hot tip: For a beach day, head to Cala Portals Nous, a small protected sandy cove. With its sunshades and loungers to rent, it’s a perfect way to pass the day. Local classic: PuertoBanús: Often described as the Saint-Tropez of the Costa del Sol, this “millionaires’ playground” is full of cafés, designer shops and glamorous nightclubs. The summer sees a mass influx of wealthy Arabs and celebrities. With 915 berths, this modern port is a captain’s dream. Lunch at Picasso, although you may have to wait for a table in this old school pizzeria bursting with the Marbella “it” crowd. The more adventurous should cruise 10 minutes down the coast to Laguna Village and moor outside Purobeach Marbella. This fabulous getaway has a wonderful seafood restaurant. For a rocking night it’s Nobu for dinner and then La Terrasse at La Suite club at Puente Romano beach resort. Miami is often ignored as a super port but the yacht types have slowly realised it is the best place to be. We all know how fantastic Miami is, with its ever growing international scene running alongside its Latin undertone, which makes it an East Coast favourite. With its year-round sunny climate, even a cruise down the Intracoastal Waterway on the mildest of days is heavenly. Use it as your boat hotel during the week and then venture out into the city and explore the endless restaurants, art galleries, shopping malls and golf courses. Boat notes: The port of Miami has all the boat services and support you could wish for and is the perfect home for your yacht this winter. One Island Park and Island Gardens marinas were built to house superyachts away from the cargo ships and cruise liners. They are the “it” addresses to attach your yacht to. Friday sees an exodus of boats leaving for the short cruise over to the Bahamas or the tranquillity of the Exuma islands for the weekend. Where to eat:_ _Sunday brunch at Zuma’s buffet is the place to be. Overlooking the water downtown, this London import does not disappoint. Cecconi’s at Soho House is an elegant haven in Miami Beach – dress up and enjoy the ambience. Who goes Miami has become a melting pot of all nationalities looking for a good time and the best weather. Old, young and in between – there is no category Miami excludes, except boring. The crowd changes slightly, depending on the season. December’s Miami Art Basel art fair brings in the who’s who of the art world. Private jet after private jet fly in the crème de la crème from all corners of the world. Each spring, the tennis world flocks to Key Biscayne for the Miami Open, bringing the celebrity crowd – Ricky Martin, Jennifer Lopez, Kim Kardashian and Elle Macpherson – scurrying in too. Hot tip: Bal Harbour shopping mall is the indoor/outdoor equivalent of Rodeo Drive in LA – chic, elegant and housing the biggest and most glamorous names in fashion and jewellery, from Harry Winston to Charlotte Olympia. Insider tip: Sawgrass Mills, about a 40 minute drive away, is the mother of all outlet malls. Miles and miles of stores are discounted at 50-70 per cent. Head straight to the Colonnade, for the big designer outlets like Gucci, Valentino, Barneys, Loro Piana and Ralph Lauren. Local classic: Coconut Grove: To escape the frenetic pace of Miami venture just south of Downtown and try Coconut Grove, with its relaxed Grove Harbour Marina, which is perfect for smaller yachts and has a hippy vibe and laid-back spirit. Surrounded by coffee houses and independent boutiques as well as smaller art galleries, it’s a completely different world from Miami Beach, and only a 20 minute ride away. Lunch on excellent American food with a contemporary twist at Ariete, hit cocktail hour at Monty’s Raw Bar for some Key West vibes and dine at Greek-inspired Boho. Miami is often ignored as a super port but the yacht types have slowly realised it is the best place to be. We all know how fantastic Miami is, with its ever growing international scene running alongside its Latin undertone, which makes it an East Coast favourite. With its year-round sunny climate, even a cruise down the Intracoastal Waterway on the mildest of days is heavenly. Use it as your boat hotel during the week and then venture out into the city and explore the endless restaurants, art galleries, shopping malls and golf courses. Boat notes: The port of Miami has all the boat services and support you could wish for and is the perfect home for your yacht this winter. One Island Park and Island Gardens marinas were built to house superyachts away from the cargo ships and cruise liners. They are the “it” addresses to attach your yacht to. Friday sees an exodus of boats leaving for the short cruise over to the Bahamas or the tranquillity of the Exuma islands for the weekend. Where to eat:_ _Sunday brunch at Zuma’s buffet is the place to be. Overlooking the water downtown, this London import does not disappoint. Cecconi’s at Soho House is an elegant haven in Miami Beach – dress up and enjoy the ambience. 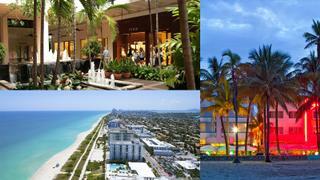 Who goes Miami has become a melting pot of all nationalities looking for a good time and the best weather. Old, young and in between – there is no category Miami excludes, except boring. The crowd changes slightly, depending on the season. December’s Miami Art Basel art fair brings in the who’s who of the art world. Private jet after private jet fly in the crème de la crème from all corners of the world. Each spring, the tennis world flocks to Key Biscayne for the Miami Open, bringing the celebrity crowd – Ricky Martin, Jennifer Lopez, Kim Kardashian and Elle Macpherson – scurrying in too. Hot tip: Bal Harbour shopping mall is the indoor/outdoor equivalent of Rodeo Drive in LA – chic, elegant and housing the biggest and most glamorous names in fashion and jewellery, from Harry Winston to Charlotte Olympia. Insider tip: Sawgrass Mills, about a 40 minute drive away, is the mother of all outlet malls. Miles and miles of stores are discounted at 50-70 per cent. Head straight to the Colonnade, for the big designer outlets like Gucci, Valentino, Barneys, Loro Piana and Ralph Lauren. Local classic: Coconut Grove: To escape the frenetic pace of Miami venture just south of Downtown and try Coconut Grove, with its relaxed Grove Harbour Marina, which is perfect for smaller yachts and has a hippy vibe and laid-back spirit. Surrounded by coffee houses and independent boutiques as well as smaller art galleries, it’s a completely different world from Miami Beach, and only a 20 minute ride away. Lunch on excellent American food with a contemporary twist at Ariete, hit cocktail hour at Monty’s Raw Bar for some Key West vibes and dine at Greek-inspired Boho.